2. Menu planning (trying to use up some pantry/freezer stuff as much as possible). This will be a very loose plan.. more of a list of possible meals to pick from when I do my actual weekly plans/grocery shopping. 4. Filling up the gas tank. 5. Stocking up on a few staples, so I don’t need to make many shopping trips (to prevent impulse purchases). 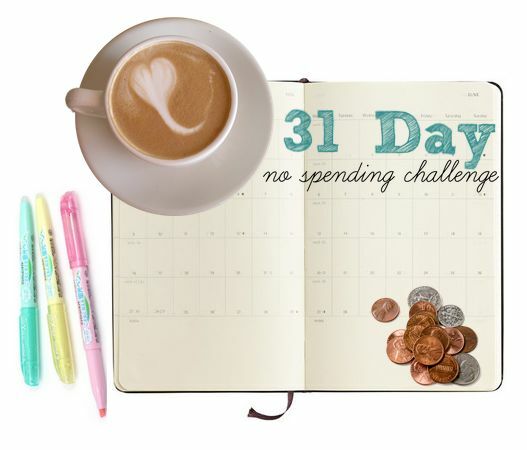 One thing I have noticed is, though I love a good challenge, challenge months are long. It seems like 31 days is over in a flash, unless I’m abstaining from carbs or shopping. So I know this will not be easy. I’ll try to post some weekly updates about how it’s going, successes and failures, and what I’m learning along the way.